VSY YACHTS is in the heart of Tuscany, Italy, and manufactures some of the world’s finest superyachts measuring over 196′ (60m). Preserving the inherent beauty and craftsmanship that personifies Italy, the luxury shipbuilder offers comfort and style with cutting-edge techniques and vintage skills. VSY provides a touch of excellence in every vessel the shipyard designs. 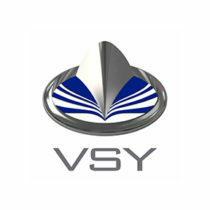 State-of-the-art technology and engineering are at the heart of the VSY production philosophy. Aside from using the best marine components available, VSY yachts also supplies a set of custom-built components produced by the best Italian craftsmen in order to match the customer’s requirements as well as those of function and aesthetics. World-class new yacht construction by VSY includes the 236′ (72m) STELLA MARIS, the 203′ (62m) ROMA, the 202′ (61.8m) SEALYON and more. As a premier luxury yacht builder, VSY works with the world’s finest interior and exterior designers including Espen Oino, Michela Reverberi, Franck Darnet Design and others, to create a yacht with thoughtful precision and detail to the client’s liking. Browse the entire fleet of VSY yachts for sale or find a VSY yacht for charter below. For more information about VSY yachts for sale and your own custom tailored yacht report, or to book a VSY yacht for charter, simply contact the Merle Wood & Associates luxury yacht brokerage firm.